A high-tech folder from Zero Tolerance, the 0609BLUBLK is a special sprint run of this build. 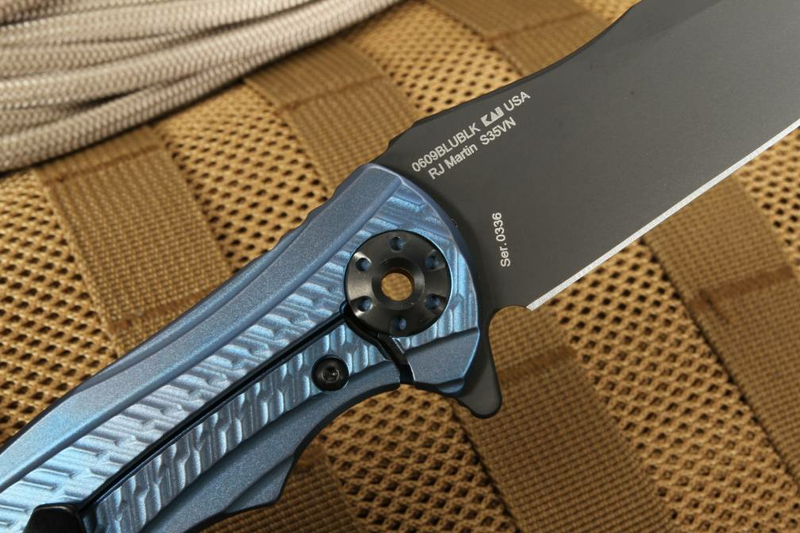 It features a completely blue anodized handle frame with fittings of black DLC coating. This is a special edition and once it is gone it is gone. The Martin designed 0609 is a sleek folder designed for exceptionally comfortable everyday carry folding knife. If I could summarize the knife in three words, they would be: innovative, compact and precise. 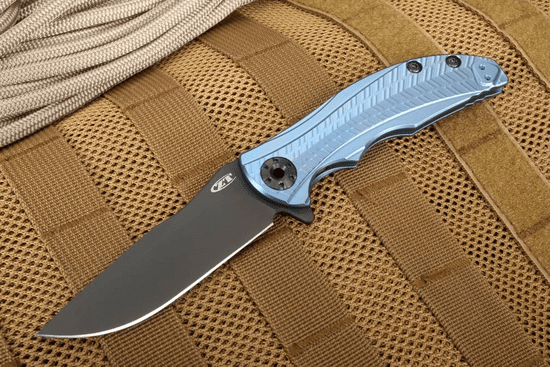 Crafted from American-made CPM S35VN stainless steel, the 0609's 3.4-inch blade offers excellent resistance to wear, corrosion, and edge chipping while providing an extremely sharp edge and exceptional edge retention. The drop-point blade shape keeps the blade tough and durable but allows for precise slicing when necessary. Black coated DLC (Diamond Like Coating) make for an absolutely beautiful blade that is built to last, even after much use or everyday carry over long periods of time. 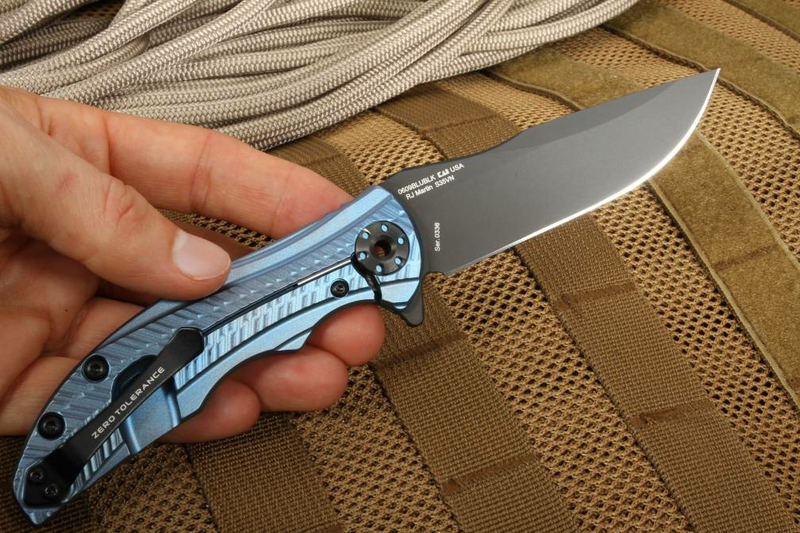 You'll be pleased to show off your ZT 0609BLUBLK. Highly-detailed, full 3D machined titanium makes up the handle, providing an uncompromising grip and excellent blade control. 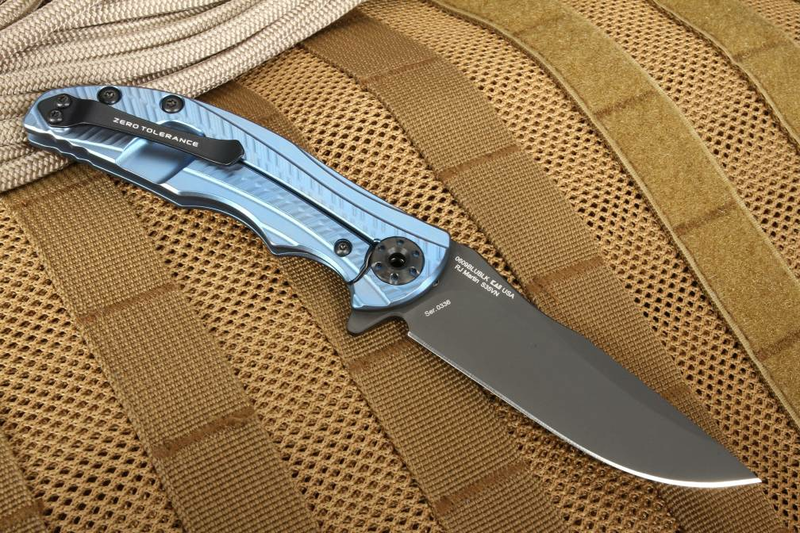 Anodized blue, the handle is sure to draw eyes whether in your pocket or your hand. The blade is deployed quickly and easily using an integral ambidextrous flipper. The flipper also serves as an index finger guard while the blade is open, and jimping on the blade and handle spines offer a solid hold. RJ Martin's signature see-through pivot (SVT) adds to the unique aesthetic of the 0609. A hardened steel lockbar insert protects the titanium liner lock from excessive wear, adding the 0609's extreme durability and lock life. 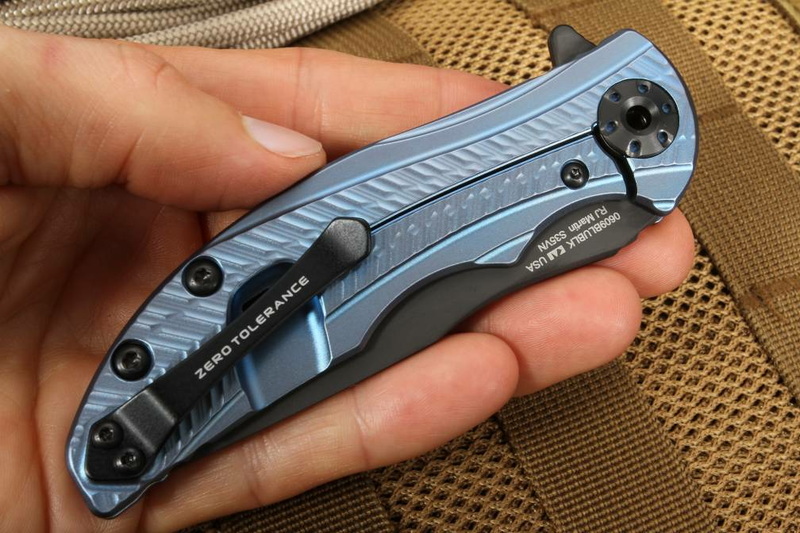 This Zero Tolerance tactical folder comes equipped with a reversible pocket clip mounted for blade tip-up carry. With an overall weight of only 3.3 ounces, this knife is perfect for comfortable, lightweight everyday carry and use in tactical applications. 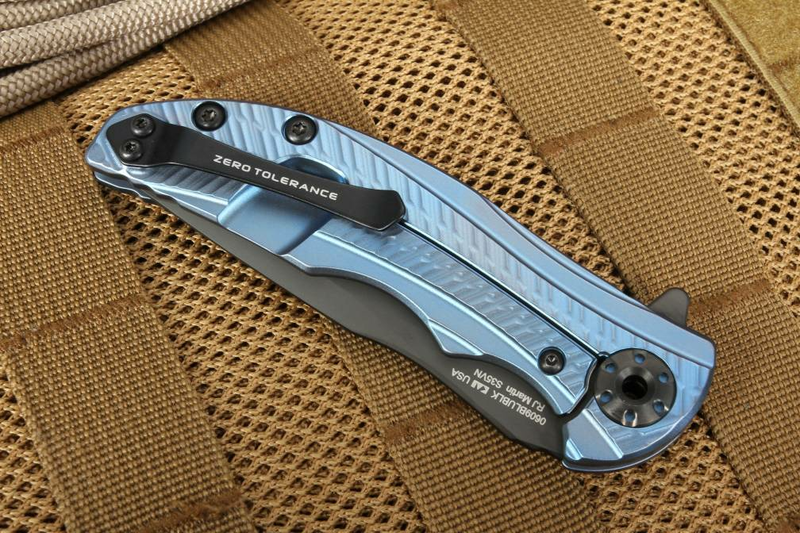 Built from the highest quality materials in Tualatin, Oregon, all Zero Tolerance knives feature a dedication to durability and a commitment to fine workmanship. As an authorized Zero Tolerance dealer, KnifeArt.com offers this knife with our full satisfaction guarantee, hassle-free return policy, and fast, free domestic shipping on orders over $150. You won't be disappointed by this one! Sign up today to receive special offers from Knife Art!